The annual sessions of the National People's Congress (NPC), China's national legislature, and the National Committee of the Chinese People's Political Consultative Conference (CPPCC), the top political advisory body of the country, invariably draw the attention of the media. 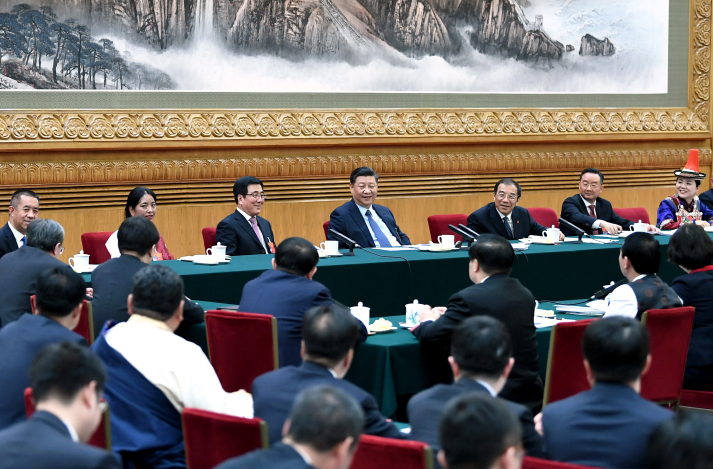 Held from early to mid-March every year, the meetings, generally referred to as the two sessions, are the most important political events in China and have played a crucial role in promoting political, economic and social development of the country. On March 3 and 5, the Second Sessions of the 13th CPPCC National committee and the 13th NPC were successively opened at the Great Hall of the People in Beijing, where one of the leading topics for discussion was "China's efforts in eradicating absolute poverty by 2020." This is in line with the priority target of the UN 2030 Agenda for Sustainable Development that aims to end poverty in all its form around the world. In his address to the NPC deputies and CPPCC National Committee members, President Xi Jinping was categorical in emphasizing China's commitment to poverty alleviation, calling for pragmatic efforts to ensure that targeted measures are taken to lift impoverished people from poverty by the year 2020. He pointed out that the fight against poverty will focus on access to food, housing, clothing, health care and education. The president's stress on poverty reduction at a time when Sino-Africa relations are on an upward swing is a clear indicator that China is ready to share its experience in poverty alleviation with Africa for greater prosperity. How will Africa benefit from the deliberations at the two sessions and borrow a leaf from China on lifting its people from poverty? China's Minister of Commerce Zhong Shan explicated that China will enact measures aimed at maintaining stable trade growth by implementing a raft of trade facilitation policies to improve efficiency for foreign trade companies. This will stabilize the business environment for both domestic and international companies, thus further opening up the Chinese economy to trade-inflows, particularly imports from African countries in line with the objectives of China International Import Expo (CIIE). With the second edition of CIIE in the pipeline, Zhong promised that the Chinese Government will offer more exhibition spaces for foreign companies, so that CIIE will play a key role in increasing African exports to China. CIIE's inaugural edition was held in Shanghai last year, making it the first global import-themed national expo with deals worth $57.83 billion for intended one-year purchases of goods and services being struck. African countries will benefit from these deals because they will create jobs and increase incomes for households and small and medium enterprises (SMEs) engaged in export-led sectors. These SMEs play an important role in addressing obstacles to poverty reduction, inequality and job creation in rural areas. They are also a major source of employment for women, low-skilled workers and youth. Chinese island province of Hainan. The flow of Chinese tourists to Africa will broaden source markets and increase foreign earnings for development. Opening up international shipping and professional services to foreigners will create more space for foreign companies to support accelerated growth in medical and health care services – key drivers of improved welfare for African people. Kenya, for instance, is implementing a universal healthcare plan as a priority development issue for the "big four" agenda (food security, affordable housing, manufacturing and universal healthcare), and the sharing of Chinese knowledge and experience will be crucial in the fight against poverty on the continent. The two sessions of 2019 also discussed new strategies that are significant in poverty alleviation efforts with Premier Li Keqiang calling for substitution of growth drivers with new ones that will improve people's wellbeing and advance sustainable high-quality development by linking poverty alleviation to the rural development strategy. The NPC deputies and the CPPCC National Committee members all support the government's effort to improve infrastructure connectivity as a shot in the arm in China's global poverty reduction agenda. 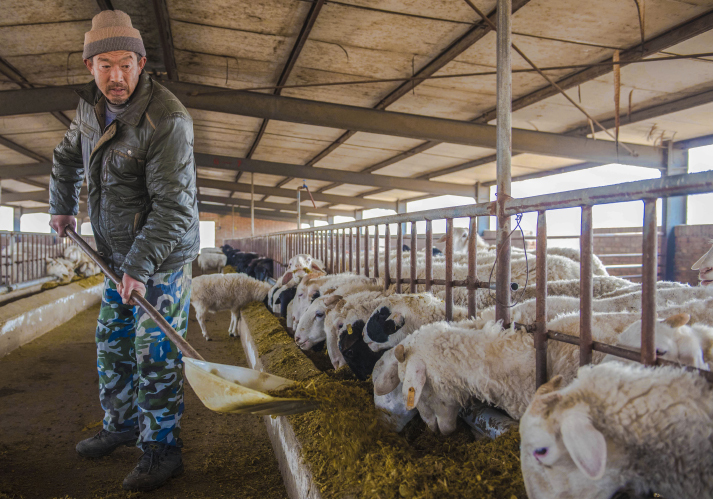 China has initiated a wide range of reforms to boost rural development. It has eliminated agricultural taxes, liberalized local markets and encouraged rural credit cooperation reform across the country. This offers African countries a platform to learn from China on rural development – where poverty is prevalent. Participants in the two sessions also endorsed scaling up Chinese international development agenda by taking practical approaches to poverty reduction through international exchanges and win-win cooperation. The prospects of increased cooperation between China and Africa will be crystallized this year when China hosts the Second Belt and Road Forum for International Cooperation, the 2019 International Horticultural Exhibition and the second CIIE. These are key events that will open up the Chinese markets to increased African exports, foreign direct investments and technological exchanges with Africa, hence leading to employment creation and income generation as per the AU's Agenda 2063.